01 | July | 2010 | Oh Look, Krill! Half the year has passed and so begins the next half of the year. What have you achieved in the last six months? Personally, I haven’t achieved all that much. Other than going to school, having exams and discovering that I’m single again, nothing much. For me, July has traditionally been Harry Potter month. The books and some of the movies were released in the 7th month of the year. July is also the birthday month of both the author and the title character of the series. So many wonderful memories tied to this month. They recently released the trailer for part 1 of The Deathly Hallows and the tiny Harry Potter fan within, sprung to life and squealed like a teenager. The trailer is after the jump. I could watch that over and over again. 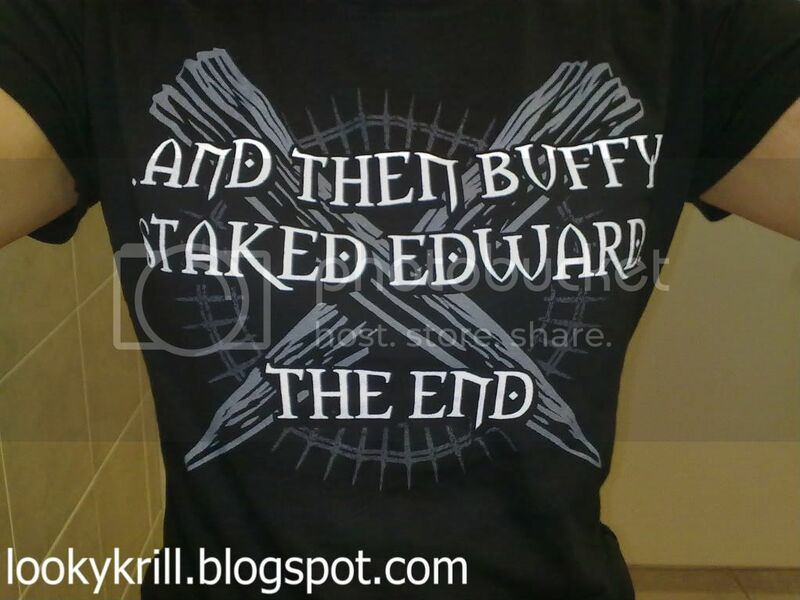 Or course, I’ll be watching Mints just for the LOLZ but I’ll be wearing this t-shirt. 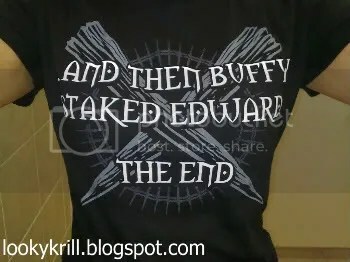 Since I don’t really want to get attacked by the TwiFans, I’ll be going with a group of friends; all of them wearing the same t-shirt. Maybe do we have a deathwish but we’ll go out laughing. Categories: BtVS, Harry Potter, movies, vampires | Permalink.